If your gutters aren’t aligned perfectly, you can easily end up with leaking seams. When faced with a gutter system with leaking seams, your property can end up with unnecessary moisture infiltration. Whereas a set of seamless gutters by Austin Gutterman will easily usher away all moisture harmlessly by design, gutters with leaking seams can end up filtering water on to your home’s façade and even infiltrate the ground surrounding your foundation. It’s best that you avoid these problems entirely and plan your purchase of a set of seamless gutters from Austin Gutterman. Other companies will cut their gutters to fit your home, where the professionals at Austin Gutterman take outstanding care to create a set of seamless gutters, custom designed for your home specifically. Aesthetically, seamless guitars mean your eye never catches a line in the gutters, so the gutters are less noticeable. Performance-wise, seamless gutters protect your home from potential of problems with water leakage or separation of the parts of the gutter system. By having a seamless gutter, you never have to worry about plastic parts or junctures weakening or failing due to water, wind or sun damage. Remember, a compromised gutter system can ultimately compromise the value of your home, whether it’s through ruining your home’s façade or even leading to cracks in your foundation. Why pay to install a set of gutters that make this scenario possible? 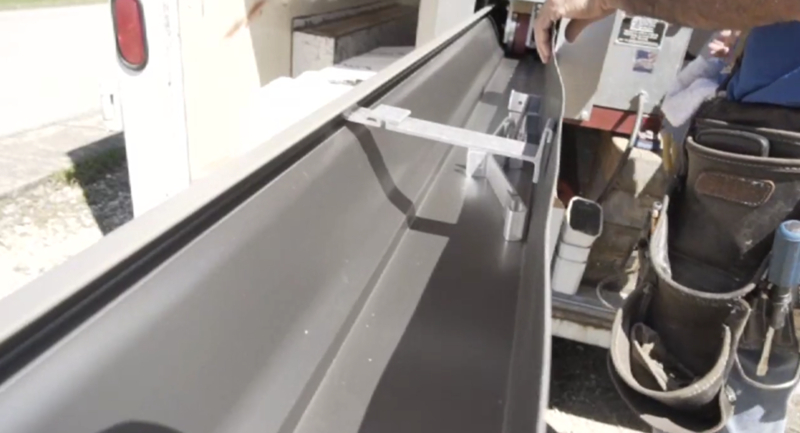 Instead trust the experts in seamless gutters from Austin Gutterman. Schedule a proposal online at www.austingutterman.com or call us today at 512-450-1821.